2019 Annual Regional Conference - Association for Equality and Excellence in Education, Inc. 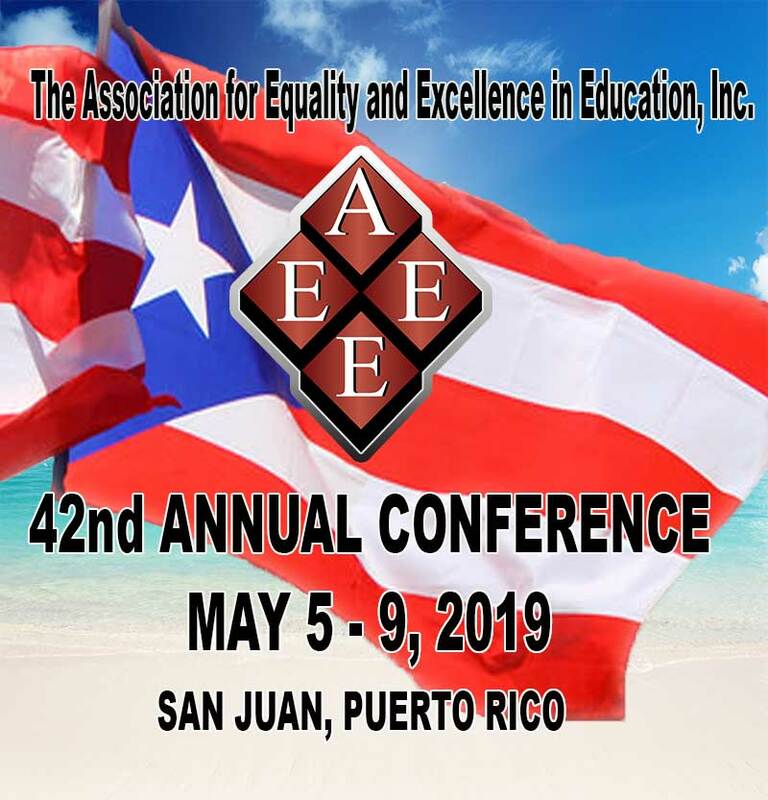 The 2019 Annual AEEE Conference in San Juan, Puerto Rico, will host over 200 TRiO and other professionals from across New York, New Jersey and other Regional TRiO Associations. This professional development conference is designed to provide attendees an intimate setting with direct access to presenters, share best practices with peers, priceless opportunities for networking, product and software innovations, and the ability to participate in open discussions and learn about changes needed to better serve our students. Applicable for teams of three to eight persons from the same institution, providing that all registrations are submitted online at the same time. Each team member’s personal information must be entered when prompted. Please select “team registration” as the registration type. $295 Applicable for individuals, vendors or presenters not registering for the full conference, but wish to attend one day on Tuesday, May 7th or Wednesday, May 8th. $400 Applicable for individuals, vendors or presenters not registering for the full conference, but wish to attend on Tuesday, May 7th and Wednesday, May 8th. AEEE membership shall be verified by the Membership Chair. Refunds for registration cancelation are to be requested in writing on or before April 1, 2019. The refund will be processed after the conference date, less a $200 processing fee.